At Florint Curacao our focus is to be a high quality service oriented Management Company, by providing our owners with personal and friendly service unlike any other. We understand you have a choice and we hope your choice is with US! 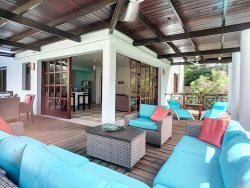 You may be in the process of buying a vacation home at Curacao and require a management company to look after your investment or you may already own your own home and now need a management company to care for you investment. We can help you by offering our knowledge, professionalism and we promise to deliver high standards of performance for both the homeowner and our guests. We will provide comprehensive services and partner with every homeowner. Our promise is to; ensure all required local licenses are valid and posted in home; set up your home with the specific Inventory you will need; set up, monitor and pay all utility bills; provide a detailed monthly statement; complete your monthly sales tax collection and payment to government authorities; provide High Quality Lawn, Pool Care and Pest Control Services; provide Home Inspections; provide every guest with all the check in services of a hotel; obtain security deposits from our guests; provide 24hr on call emergency services; provide professional Housekeeping and Maintenance Services from a team you can trust and we will Market and Advertise your property so that you can achieve the highest rental income. As your Property Management Company, we will perform many important functions, all designed to maintain your property to the highest standards whilst ensuring your peace of mind. We will structure a management agreement that can meet your needs, whether your home will be for personal use, short or long term rental. Please click below to contact us.